The Bax Castle is a traditional friendly pub, serving the finest quality food both at lunch and in the evening in our two characteristic restaurants. Our restaurants are suited for the larger, smaller or children’s appetite. We serve real cask ale on tap, along with an excellent variety of wines, spirits, lagers or soft drinks. Children and dogs are welcome, both in our dog friendly restaurant or large garden complete with climbing frame and our famous bouncy slide. 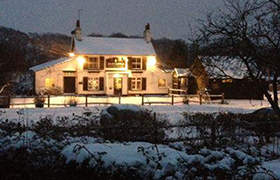 Please see our virtual tour below to view the pub and garden in more detail. Dave and all the staff at the Bax Castle look forward to seeing you soon.